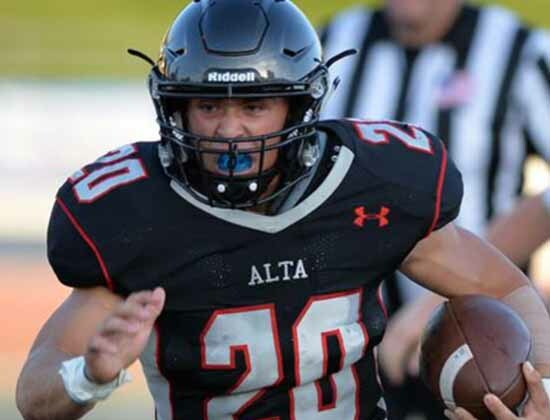 After spending the better part of the season running away from opposing defenses, Alta’s Josh Davis distanced himself from the other nominees to claim the Week 6 Preps Utah player of the week honor for the 2016-17 school sports year. Davis finished with nearly 60 percent of the vote to finish well ahead of four other gridiron stars for the week of Oct. 17. Nearly 500 votes were received, with South Summit’s Nick Beasley finishing second at 15 percent, while Isaac Hamilton of Pleasant Grove, Ty Jones from Provo and East’s Jaylen Warren split the remaining votes. 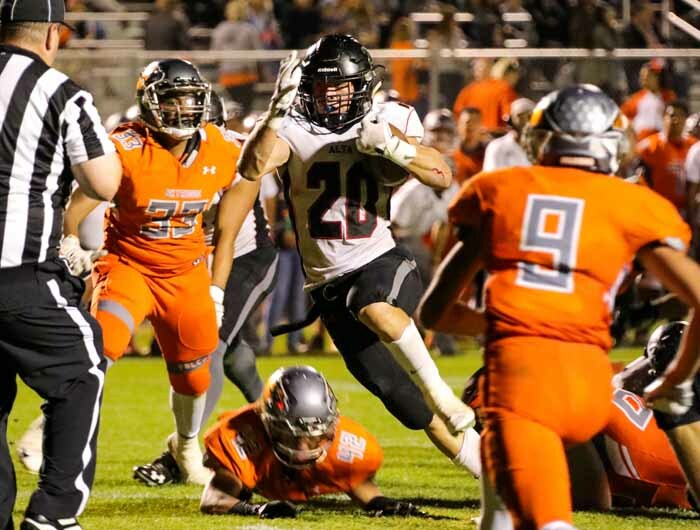 Davis is chasing state records along with Warren and through 10 games, he has run for 2,122 yards and 24 touchdowns to lead Alta to a 9-1 regular season mark and the Region 7 championship. We are focusing on girls cross country champions for Week 7 of the PrepsUtah.com player of the week poll and our five candidates are Bailey Brinkerhoff (Desert Hills), Sara Musselman (American Fork), Whitney Rich (Bingham), Sadie Sargent (North Summit) and Julie Sumsion (Springville). Vote now by scrolling down the center column of the Preps Utah website to the poll at www.prepsutah.com. Voting ends at noon Monday, Oct. 31.